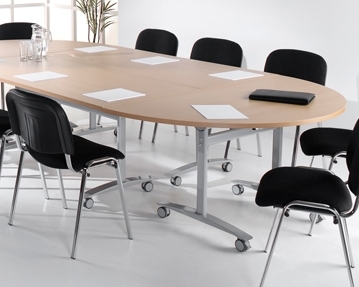 Our flip top tables are the perfect combination of style and practicality. They provide you with extra surface space as and when you need it. 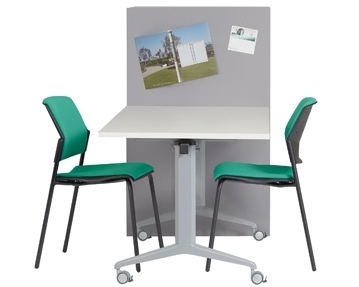 These surfaces can be flipped from a horizontal position to a vertical position quickly, meaning you can assemble your table and put it away with complete ease. 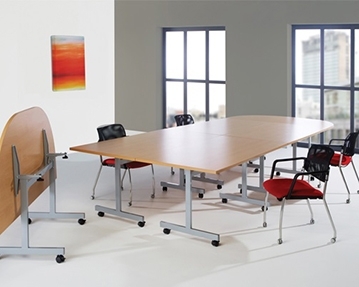 Each table features a strong, robust frame and smooth, spacious surface. These tables also have lockable wheel castors for easy mobility. 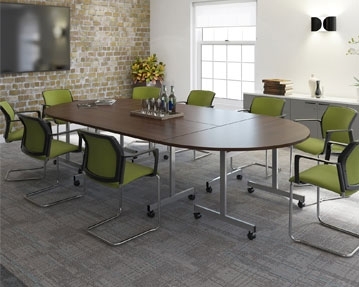 You can use our office flip top tables for a whole host of different activities, such as meetings, interviews, conferences and client pitches. Simply wheel the tables into position, flip the surfaces and you’re good to go. Once you’ve finished using them, push the table tops into the vertical position. Their slimline, compact design makes them easy to store away. Our flip top tables are available in a variety of different shapes, including round, square, rectangular and semi-circular designs. You can also pick your preferred worktop finish. We offer our flip top tables in a range of stunning colours, including wood finishes such as oak, beech, maple and graphite, as well as pure white. So, regardless of your sense of style, you’re bound to find an effect that suits. 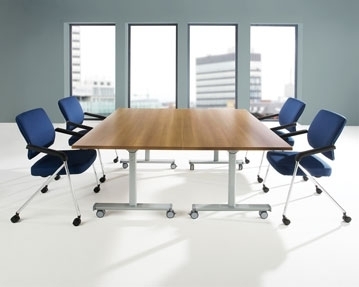 Check out all of our meeting room tables.